What’s a Credit Card Anyway? I’ve lived in developed markets all my life. Cell phones, credit cards, on-demand cabs and subway systems. They are my daily interactions. In most emerging markets, users settle payments with cash whereas I use my credit card without thinking twice. These users commute via motorbikes, and yet I own no vehicle and commute via the subway. 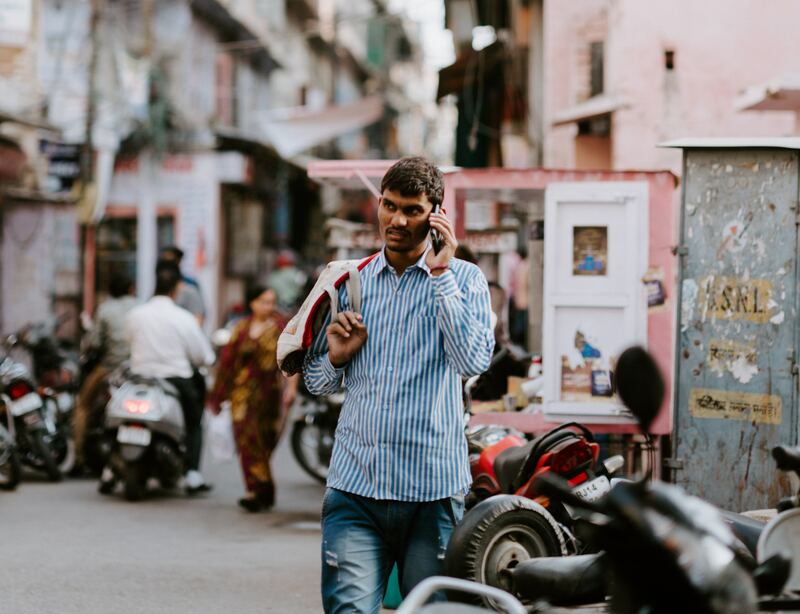 Google has identified these emerging markets as the Next Billion Users who are going online via mobile and designed initiatives to help them stay connected. When I learned that Google was teaching a user research workshop for these Next Billion Users, I signed up immediately. I wanted to improve my practice for emerging markets and in inclusive design. My first experience of the Internet was ICQ and that dial-up connection. The Googlers kicked off the session with our first memory of the Internet. It was clear that our first times were very different from emerging market users', who likely only used mobile devices and never owned a desktop. Designing for emerging markets requires an open mind and a much deeper understanding of their ways of life. When conducting user research, the best way to understand user behavior is by immersing yourself in their environments. Google’s design team embarked on an immersion trip to understand how motorbikers interact with Google Maps, especially those who offer Go-Jek rides, the Indonesian motorcycle ride-hailing service. To share these insights with team mates who weren't there, they used immersive storytelling to illustrate the motorbikers' interactions and constraints with Google Maps on the road. These stories were a series of 10-second videos and first-person photos. 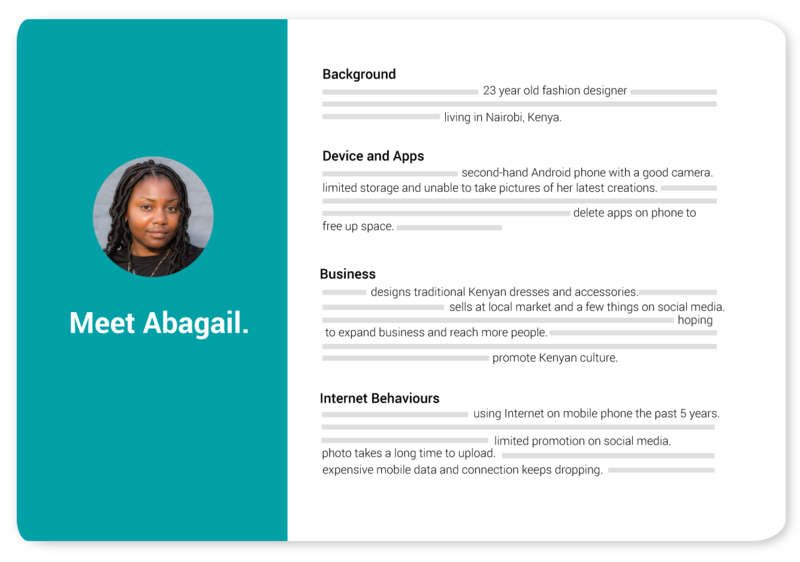 Tasked to design a better experience for buyers and sellers, we were given the persona of Abagail, a talented fashion entrepreneur and seller in Nairobi, Africa. Based on her profile, we extracted keywords that summarized her pain points, challenges and aspirations. 1:1 Conversations to understand the current selling process online and offline. Diary studies for sellers to document their operational pain points. Shadow shopping to study both buyers and sellers' interactions at physical marketplaces. For Abagail to grow her business, she needs a mobile phone with a decent camera, stable Internet to promote on social media and get inspiration online. Ultimately, her motivation is to promote the African culture through her dresses and accessories. As part of Google's design process, our team did a brain dump of all the adjectives that best describe our design principles. It was a hard exercise especially when the closest synonyms make the subtlest difference. We wanted to speak to Abagail's underlying motivation and settled on three key design principles - Connected, Communal and Easy. When connectivity is not a pre-condition, another app or a better phone isn't enough. She needs to be empowered, perhaps through a service solution. Coincidentally, one of our ideation sessions had a "no-screen" constraint. 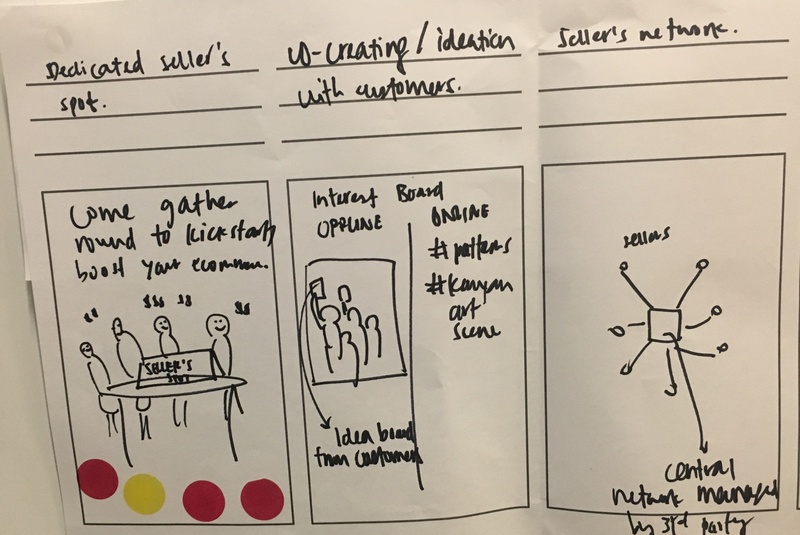 After several rounds of individual and group ideation, our team dot votted my initial idea of a dedicated seller's hotspot. It later morphed into the Guru Bar. Think of the Guru Bar as the seller's "Genius Bar" at Apple, where you have both the technology and human smarts (virtually in this case) to support seller needs. This is only a conceptual mock-up of the Guru Bar and not representative of the marketplace's physical environment. From left to right, the hot spot provides a stable Internet connection for sellers to get on social media, browse for inspiration online and to set up shop. The high-quailty camera will be provided alongside a photo light box to help sellers better optimize their product shots. Online guides on photoshooting and social media best practices will also be provided to inform sellers on the latest trends and marketing tips. Ideally, the Guru Bar will be stationed in the marketplace as a communal way for seller peers to support one another. Being an empathetic designer is more than understanding user pain points, but also being mindful that the everyday interactions we experience may sometimes be taken for granted. This workshop has helped hone my craft tremendously and I'm excited to adopt Google's methodology in my design toolkit.